Visit meetings.esipfed.org/info for the most up-to-date travel, registration and schedule information! The Earth Science Information Partners (ESIP) 2018 theme is “Data for our changing Earth: Realizing the Socioeconomic Value of Earth Science Data”. The theme is based on one of the goals in the 2015 – 2020 ESIP Strategic Plan, which provides a framework for ESIP’s activities over the next three years. The 2018 theme will be woven into meeting sessions, collaboration-area activities and community outreach, with the goal of improving dialog between Earth sciences data producers, distributors and end-users. ESIP meetings are interdisciplinary and inclusive. They are a member-led mix of plenary talks, breakout sessions, poster presentations, technical workshops and networking opportunities that encourage discussion about emerging and persistent topics in Earth science data, provide exposure to new technologies and emerging concepts, and facilitate relationships with colleagues from across institutions and disciplines. Thanks to our Member & Meeting Sponsors! ESIP meetings are a truly collaborative effort. Our thanks to those who volunteered to lead sessions, present posters and contribute content to individual sessions. We extend a sincere thank you to the ESIP Visioneers, led by Denise Hills, who ensured that ESIP continues to innovate at each of our meetings. If you organization would be interested in sponsoring the ESIP meeting, please see our Sponsorship Prospectus or contact Erin Robinson, Executive Director (Erinrobinson@esipfed.org). ESIP gratefully acknowledges the funding it receives from NASA, NOAA, and the USGS which support the work of the ESIP community and makes our meetings possible. Submit your session here. Please provide as much information as you can. If your session contents shift a bit later on, you will be able to update the content on the 2018 Summer Meeting Sched page until the meeting. Sessions will be accepted until COB Monday, April 9, 2018. You can see a list of currently submitted sessions below. NOTE: ESIP will be gathering meeting content on the (soon to be open) ESIP Figshare portal (esip.figshare.com). This means you will not need to enter content into the ESIP Commons. 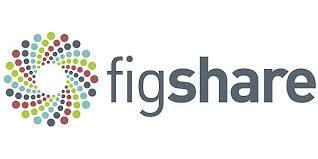 You will need to have an account with Figshare. This new portal will provide each session with a DOI, and connect content to each moderator/speaker’s ORCid. You will receive more information on this soon. Research as Art will have its own call for submissions. Posters/demos are submitted first during Registration, and then digital copies will be uploaded to the Figshare portal for the Summer meeting. All rooms will have a macbook at the podeum. Speakers should have their slides loaded on a USB device to plug-in to those laptops. The projection in all rooms is 16:9. All rooms have in-room speaker systems, i.e. your video clips can have sound. If you have a remote presenter/participant, all remote-participation information is posted per-session in Sched. After your presentation, upload your session content (PPTs, Session Notes, etc.) directly to Figshare – here are the instructions.